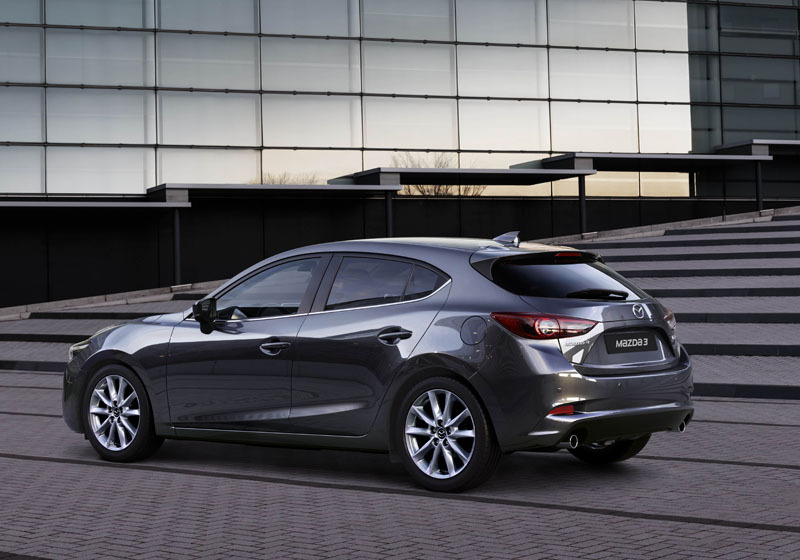 The Mazda3 has been revised for the 2017 model year, with tweaked exterior styling, an updated cabin, greater refinement, and the introduction of Mazda’s new G-Vectoring Control. 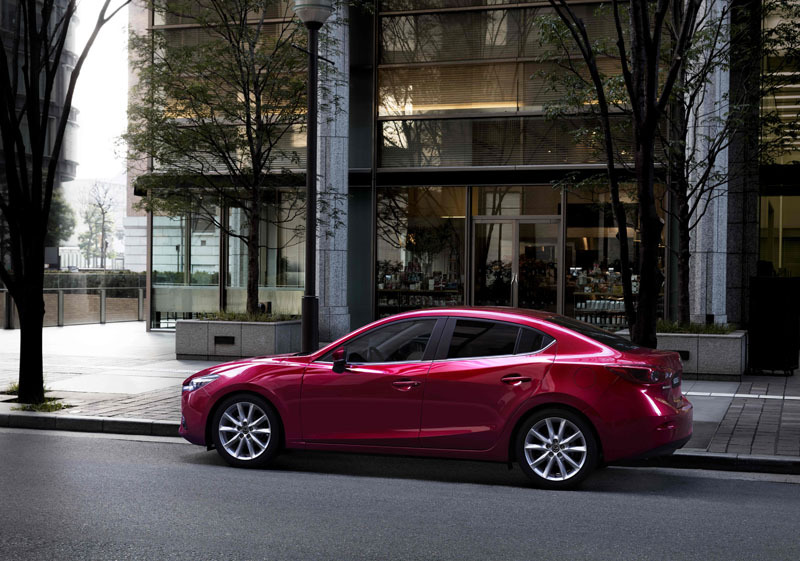 From the outside, the new Mazda3 carries a revised front grille with a stronger three-dimensional look, as well as revised fog-lights, new door mirrors with integrated indicators, and a redesigned rear bumper for hatchback models. 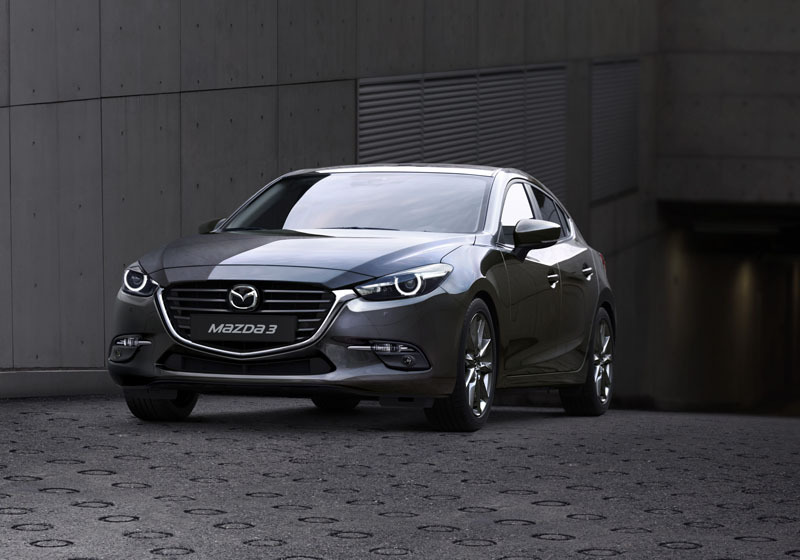 Two new colours become available, starting with Machine Grey Mica, which made its debut on the new Mazda MX-5 RF at the New York motor show. It is joined by Eternal Blue Mica and Sonic Silver Metallic, the latter available for the first time on the Mazda3. 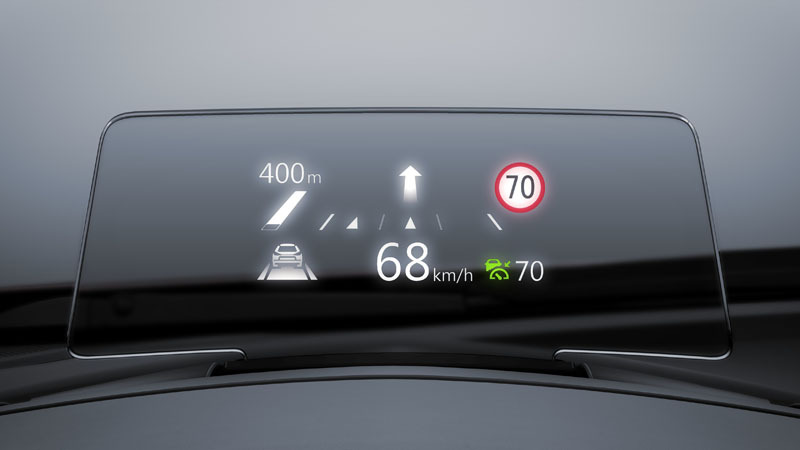 Sport Nav models also gain a new design of gloss finish 18-inch alloy wheel, plus the option of adaptive LED headlights when specified with the optional Safety Pack. 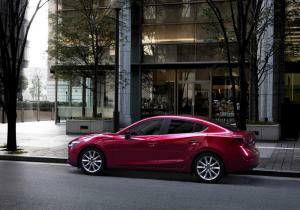 Inside, the new Mazda3 benefits from higher quality materials for the door switch panels and handle bezels, plus a new trim insert on the dashboard, while above this sits a revised head-up display with full-colour graphics. 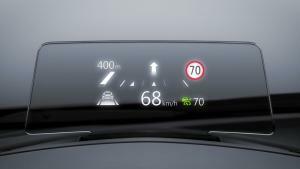 The 2017 car also makes the move to an electronic parking brake, paving the way for increased storage space in the centre console, while the steering wheel has been redesigned and is even heated on cars with heated seats. The existing engine range carries over largely unchanged, and starts with diesel engines of 1.5-litres with 105PS and 2.2-litres with 150PS, followed by 2.0-litre petrol engines with either 120PS or 165PS. Both diesel units gain the company’s new Transient Control which uses finer boost control to deliver improved throttle response, reduced turbo lag and increased torque at key rev points. It’s joined by Mazda’s new G-Vectoring Control that varies engine torque to deliver more precise handling by optimising the load placed on each wheel. Overall refinement is said to have been increased thanks to a raft of measures that include a new Natural Sound Smoother (NSS) system that reduces knock noise during engine starting and low-speed acceleration on diesel models, plus improved door seals, greater use of sound deadening materials in the roof, doors, dashboard and transmission tunnel, and additional vibration damping between the rear cross-members. 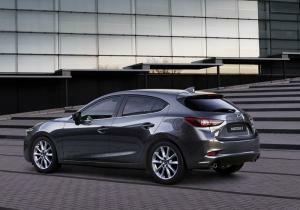 Suspension revisions are said to have reduced noise transmission and vibration, while also improving handling precision. 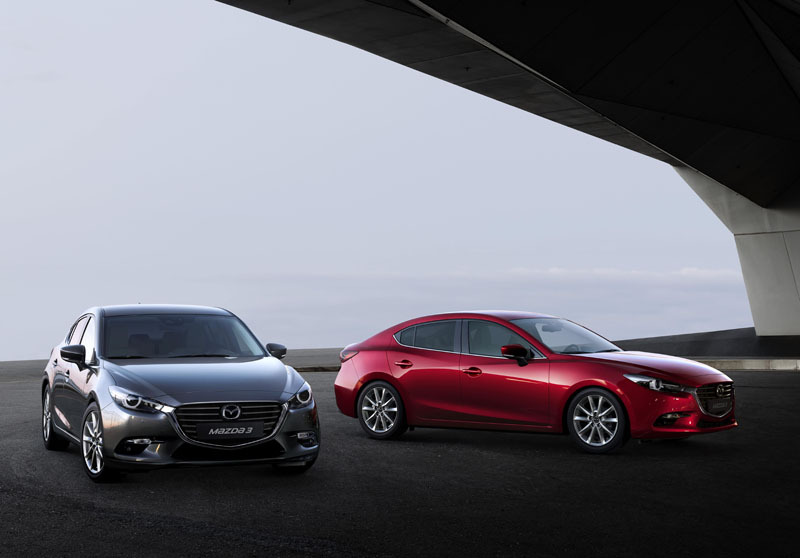 The new 2017 Mazda3 goes on sale in the UK on 1st October, with prices ranging from £17,595 to £24,195.